You know this thing about Girl Meets World Games? Girl meets world is a new series created for Disney Channel and it`s a sequel for the series “Boy meets World” that appeared in 1993. Boy meets World presented the life of Cornelius Matthews which is Riley`s father, the main character of Girl meets World. 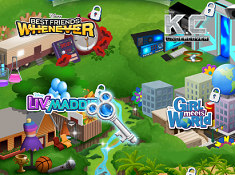 In Girl Meets World Games you can find 12 games that we've published for these kids and childrens that are interested to play Girl Meets World Games, this game gategory have been created on 29.11.2015. These games with Girl Meets World Games have been voted 1 times and the avarage of vote is 5.00 stars. We advice you to play the last flash game from Girl Meets World Games, Rileys Message Mayhem that have been published on 26.02.2017 15:01. 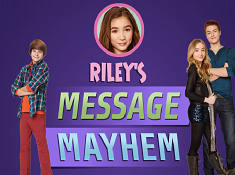 Rileys Message Mayhem its a part of Girl Meets World Games category and until now its played 1047 times. Try it now on Cute-Games.com! If your like the Rileys Message Mayhem game you can write a comment in the game page. Recommend this game to your friends if you like it! Middle School Mission its a part of Girl Meets World Games category and until now its played 1531 times. Try it now on Cute-Games.com! If your like the Middle School Mission game you can write a comment in the game page. Recommend this game to your friends if you like it! Disney Drop Zone its a part of Disney Games category and until now its played 2098 times. Try it now on Cute-Games.com! If your like the Disney Drop Zone game you can write a comment in the game page. Recommend this game to your friends if you like it! Barbie Hawaii Vacation Packing its a part of Barbie Games category and until now its played 926 times. Try it now on Cute-Games.com! If your like the Barbie Hawaii Vacation Packing game you can write a comment in the game page. Recommend this game to your friends if you like it! Girl Meets World Spot the Numbers its a part of Girl Meets World Games category and until now its played 944 times. Try it now on Cute-Games.com! If your like the Girl Meets World Spot the Numbers game you can write a comment in the game page. Recommend this game to your friends if you like it! Scrapbook Scramble its a part of Girl Meets World Games category and until now its played 1491 times. Try it now on Cute-Games.com! If your like the Scrapbook Scramble game you can write a comment in the game page. Recommend this game to your friends if you like it! Violetta Real Makeup its a part of Violetta Games category and until now its played 1209 times. Try it now on Cute-Games.com! 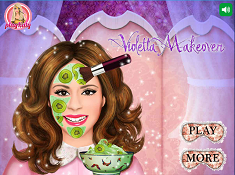 If your like the Violetta Real Makeup game you can write a comment in the game page. Recommend this game to your friends if you like it! Girl Meets World Difference its a part of Girl Meets World Games category and until now its played 1225 times. Try it now on Cute-Games.com! 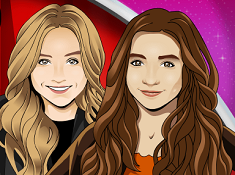 If your like the Girl Meets World Difference game you can write a comment in the game page. Recommend this game to your friends if you like it! School Dance Night its a part of Girl Meets World Games category and until now its played 1326 times. Try it now on Cute-Games.com! If your like the School Dance Night game you can write a comment in the game page. Recommend this game to your friends if you like it! 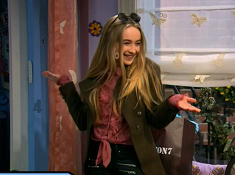 Smart Couture its a part of Girl Meets World Games category and until now its played 1746 times. Try it now on Cute-Games.com! If your like the Smart Couture game you can write a comment in the game page. Recommend this game to your friends if you like it! Which Girl Meets World Character Are You its a part of Girl Meets World Games category and until now its played 1492 times. Try it now on Cute-Games.com! 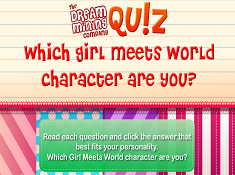 If your like the Which Girl Meets World Character Are You game you can write a comment in the game page. Recommend this game to your friends if you like it! Disney House of Haunts its a part of Disney Games category and until now its played 2557 times. Try it now on Cute-Games.com! 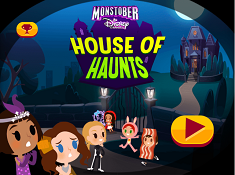 If your like the Disney House of Haunts game you can write a comment in the game page. Recommend this game to your friends if you like it! Find More About Girl Meets World Games! In Boy meets World Cory (Cornelius), is a teenager and the series followed his life until he became a mature person. Now, in Girl meets World, the story is the same but the show follow Riley`s life, daughter of Cory and Topanga Matthews. The series presents the adventures of Riley and her best friend Maya Hart, in which they need to challenge with the high school life. Riley is now on cute-games.com too in the new Girl meets World games. Riley Matthews is the central character and when the series started she was 12 years old. She is resemble a lot with her father and together with her best friend is explore the middle school and making a lot of new friends. They are trying to create their world and making a lot of funny stuffs together. Cory Matthews is Riley`s daughter and history teacher. Topanga Matthews is Riley`s mother and she is a respectable judge. In Boy meets World, Topanga appear like Cory`s girlfriend and now is his wife and mother of two children. The second child of the family is Auggie, the young brother of Riley. He believe that he is Riley`s twin and when he grow up he wants to be like his father. Maya Hart, Riley`s best friend is a rebel girl with a wild personality. She had an eventful past, but that`s not an obstacle for her to laugh and smile all the time. She is also very smart and very social. Another character is Farkle Minkus, which is a close friend of Riley and Maya. He is very protective with the two girls and loves them a lot. He is eccentric and very smart and he is always careful with his grades and he is learning a lot because he takes care of his education. Lucas Friar is another friend of Riley and best friend of Farkle. Riley has a hide love from him because he has good manners and he is a very cute guy. In the series are presenting a few characters more and which of them have an important role in the show. The Matthews are a beautiful family with good conceptions and before being parents and children they are friends and they are spending a good time together. Riley`s father is also father for their friends like Maya and always gave to her good advices. During the show, Riley need to confront with the obstacles of life and she need to be strong for when high school start. It`s difficult to be a junior and for that she and Maya are trying to live in their world and doing whatever they want. In the series we will meet Riley in each important moment of her life and we will see how she meets every new thing that appears during her growing up. She will confront with her first day of school, her first friends, her first best friend, her first love, her first date and also her first kiss. We will follow how she became a teenager and then a mature person like his father in Boy meets World. Everyone is exciting to know how Riley will be when she grows up and how her life will be transformed. Our Girl meets World games are now on cute-games.com waiting for you to meet them and we hope that you will have a lot of fun. You will have the chance to make funny things during the game, with your favorite character from Girl meets World, Riley. 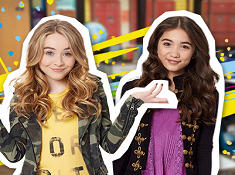 If you don`t` like our games or if you found other Girl meets World that we haven`t publish please tell us what Girl meets World games do you want and we will publish it for you. We want all the best for you and for that you can say to us what you don`t like are what do you want from us.